This isn’t what your iPhone XS Max should look like after 3 weeks. 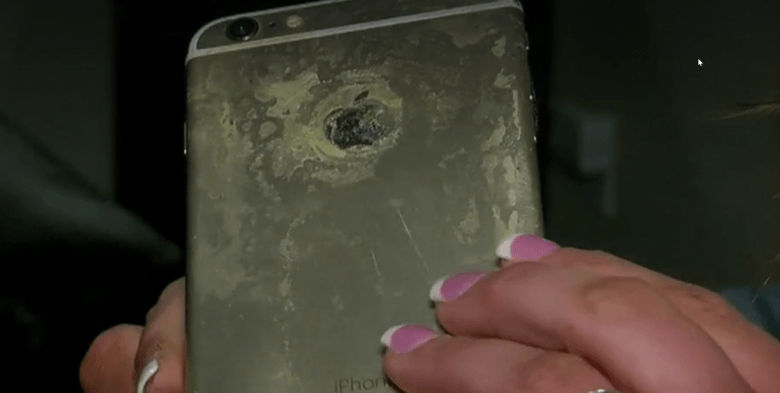 An Ohio man is contemplating legal action against Apple after his 3-week-old iPhone XS Max allegedly exploded in his pocket. J. Hillard reports that his iPhone XS Max started emitting a strange smell before he felt a “large amount of heat” in his pocket. He eventually got a new device from Apple — as well as burns on his buttocks. Samsung’s explosive reputation could be flaring up again, based on a new report that the company’s smartphone caused one woman’s car to catch fire and explode. The Detroit woman says she was driving in her car with a Samsung Galaxy S4 and Galaxy S8 in her cupholders when suddenly one of the devices burst into flame. It took just a few minutes for the fire to completely destroy her car, and she says she’s lucky to be alive. What happened to this poor AirPod? 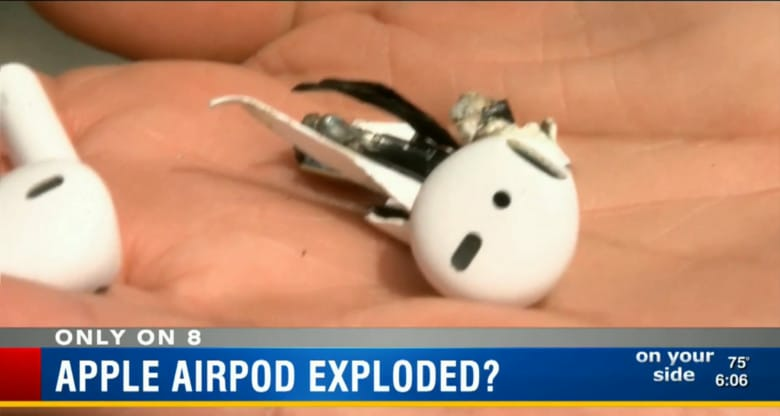 Apple is investigating how an AirPod exploded and very nearly injured its owner. A Tampa, Florida man was listening to music at the gym when he noticed smoke billowing out of his ear. Fortunately for him, he took the AirPod out before it ended up in tiny pieces. The machine was hot enough to melt its owner's fingers. 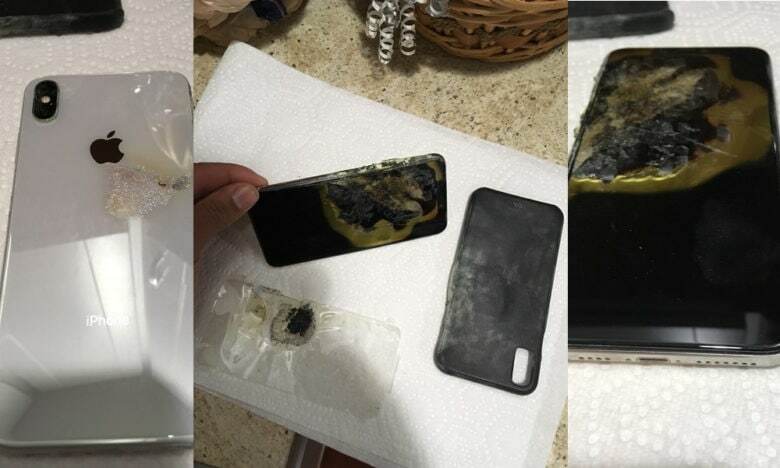 iPhone fanboys will have you believe that exploding batteries are exclusive to Samsung Galaxy smartphones, but that’s not true. 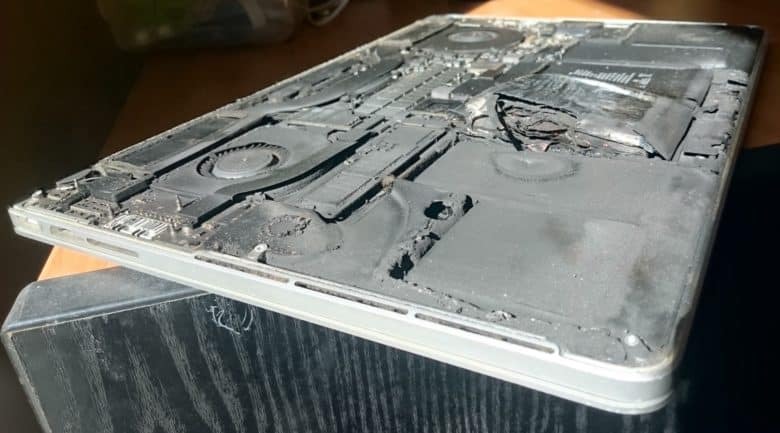 Even Apple devices go bang from time to time — like this 2015 Retina MacBook Pro, which was completely destroyed when its battery catastrophically failed and caught fire. It's not just Samsungs that explode. Smartphones don’t always need faulty batteries to go boom. One iPhone 6 Plus owner learned this the hard way after being rudely awoken by her handset when it burst into flames on her nightstand. 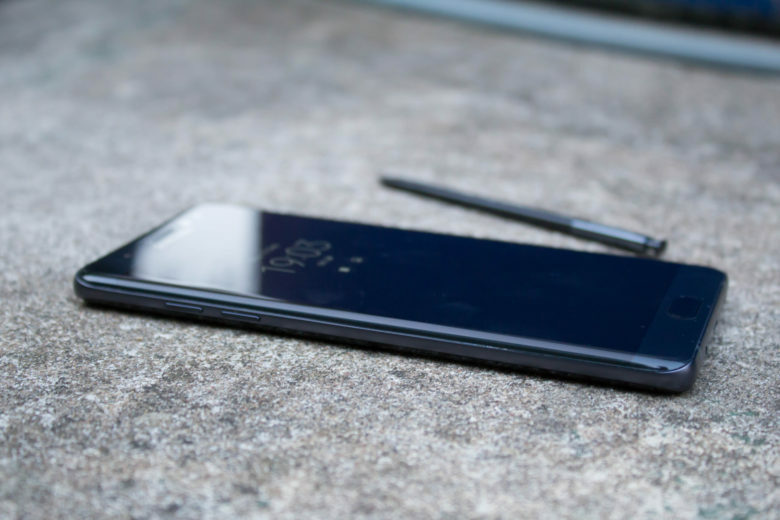 Samsung has given up on the Note 7, but it still has to solve its fiery problem. After recalling 2.5 million Galaxy Note 7 handsets and finally ceasing production of its flagship phablet earlier this week, Samsung still cannot get to the bottom of its exploding battery issue, according to a new report. 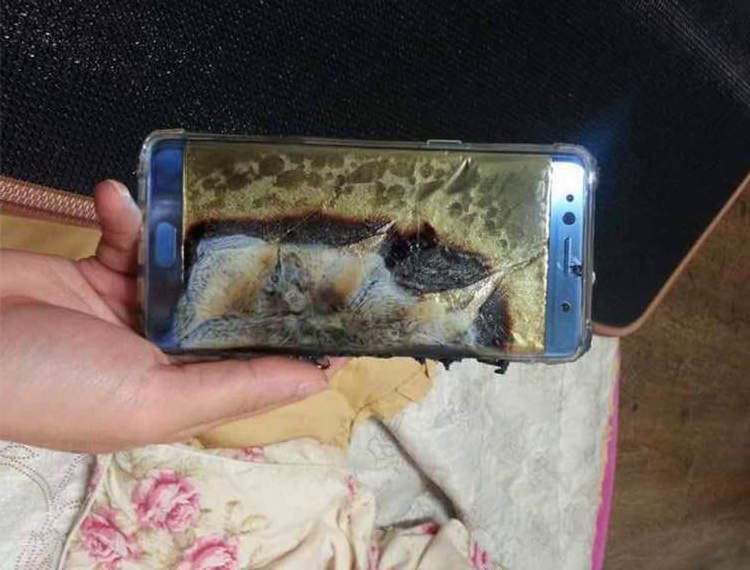 The South Korean company initially believed that defective batteries from a certain supplier were the problem, but after replacement units with new cells started catching fire, Samsung has been unable to pinpoint the cause of the issue. It’s worrying news for Samsung smartphone fans. The iPhone 6 Plus is one of the hottest phones out there. 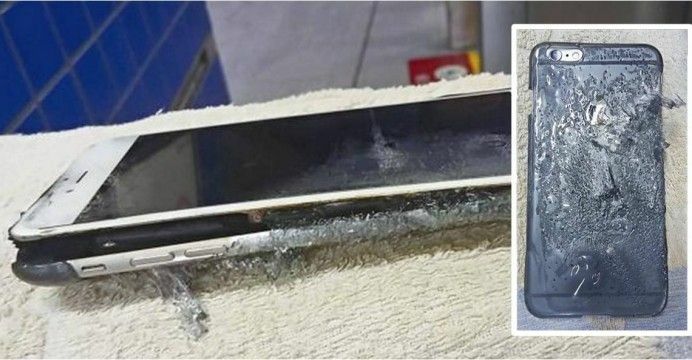 The Chinese iPhone market is exploding, but perhaps a bit too literally for one Hong Kong woman, who claims that her 128GB iPhone 6 Plus exploded while being charged — not only separating the screen from the handset, but significantly melting the back cover.